Double garages are trending for several reasons. First of all: nowadays it is difficult to find a family with less than two cars as often times both partners are working. In other cases one partner has to take the children to school, do shopping etcetera while the money earning partner has commuted to his workplace in the other car. So with the numbers of cars per household constantly increasing, it is not surprising that double garages, carports and alike are trending. After all, for most average earning people, their cars are the single most expensive items they own, and thus it seems to be only common sense to invest into a building that is able to protect it and expand its lifespan. We will have a closer look on wooden double garages, compare their features to those built from other materials, and mention some interesting facts concerning their application as design elements and options for mixed usages in the following article. So, considering lifespan and resale value as well as comfort and safety it seems a good idea to park your car in a garage, as it is clear that wetness and dirt are the main reasons for a car to rust. Cleaning it with detergent-containing water is also a sure way to enter water into even the smallest gap or crack in the finish. Hail, objects flying around in storms and trespassing are also common events with a strong potential for damages lowering your car’s value significantly. But what about the indoor climate? A wooden double garage is made completely from timber. Wood differs from stone, concrete, and steel in that it is a natural breathable material. Wood fibres are made of cellulose and they are hollow. One of the reasons why wood is so sturdy yet so light. That means that wood is a very good insulator on the one hand and on the other hand, it can adsorb humidity from the air and emit it again as soon as the air gets dryer. Why are both of these features important for your car? The answer is that condensation nearly never plays a role in a wooden double garage. Condensation is a dreaded phenomenon in buildings, but also on cars, when humid air cools off at cold surfaces and makes them wet. Imagine you drive home through a shower, and park your car in your garage. The warm bonnet as well as the roof will damp off humidity. The humid air will then condense at cooler parts of the car as for example the chassis. And there you are: You have prolonged periods of wetness on your car where you would rather have it dry off quicker. This is one of the reasons why you will usually have to permanently run a ventilator in garages made from non breathable materials. A garage that would absorb the temporary spike in humidity and keep the warmth of the car longer would clearly have less or even no condensation at all. As a matter of fact, in wooden double garage the same phenomenon can be measured as in wooden buildings like log homes or wooden garden rooms in general: Trends in temperatures and humidity run much smoother than in comparable non breathable and poorly insulated buildings. Which, of course, has the direct effect that wetness from condensation that needs humid air and rapid temperature changes nearly never occurs. So far, we have just looked at the immediate effect of a wooden double garage on your cars. However, garages are also buildings that have to fit into your front garden and harmonize with your main house. They have to be bought, built up or assembled. Timber is a natural building material that fits effortlessly into every natural environment like front gardens. Wooden double garages come in many styles and wood in general is able to harmonize with any architectural style from rustic to contemporary minimalistic. Moreover, wood can very easily be painted in any colour to blend into the broader view. Double garages can alternatively be provided with double doors or with up and over doors giving you the choice of what fits your needs best functionally and stylistically. Of course, there are remote systems that can be operated from inside the car for both options. 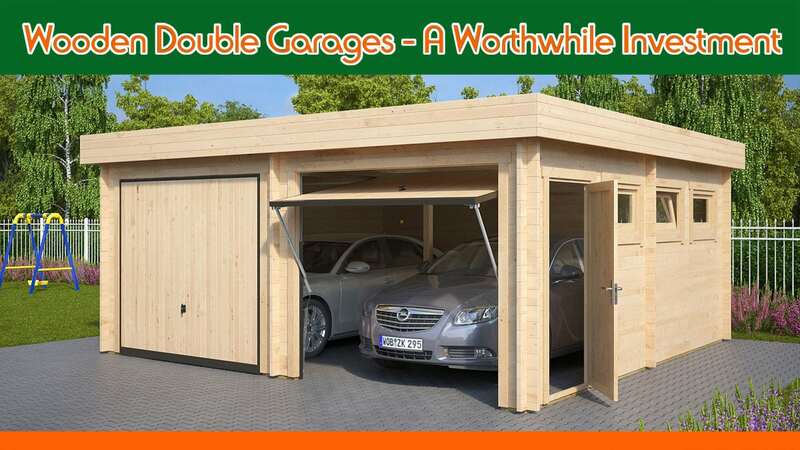 How can wooden double garages be used? Let’s not forget that we are talking about double garages here. So would it be a difference between having one large room of 6×6 metres compared to two small rooms? Surely! You would rather walk around in one room getting a petrol can from under the workbench than exit the one garage, opening another one and returning to the first one with the can. When you purchase a wooden double garage, you will get a safe and dry room of about 6×6 metres that you can use anyway you like. Most wooden garages will be delivered without a floor so it is your own decision which kind of drivable material you choose. Our advice would be to use a well drained dry floor. In many cases a foundation slab will be used. Storage space. For storage, the advantage of the dry inner climate applies as well for all items that could be affected by moisture, as paper, wood, metals, or electronics. Storage or exhibition of sales items. Office space or space for practitioners of all kinds. And, of course in the instance of usage as a space for cars, a double garage has the advantage over a double carport that it offers protection from theft and trespassing or unauthorized access for things like petrol, tools, tires, oil and chemical substances like antifreezes that might also pose risks for playing children. Mainly such a combination will be available for less money than a double garage because two walls will be just half the size and the manufacturers will be able to reduce the costs of materials. For the car, the free ventilation under a carport will rather be favourable while the garage still offers the safe and lockable room for other equipment. Is a wooden double garage a good investment? Considering that a wooden double garage not only the prologues the lifespan of cars as well as all the other stored items, it also reduces the contamination of your car with different kinds of harmful substances and dirt, and it also reduces the costs for cleaning the car and the damaging effects of the cleaning. It will also bring about that you can still drive around in a clean car and increase your comfort widely for example unloading items in rainy weather. Additionally, it can be used for the storage of outdoor items like games, bikes, gardening tools and materials, or sports equipment keeping these in better shapes and prolonging their lifespans as well. A wooden double garage is a good investment for a variety of reasons. 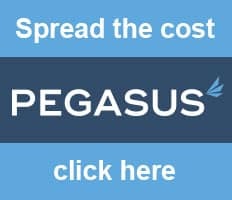 Please check our portfolio and be surprised at our very affordable prices!